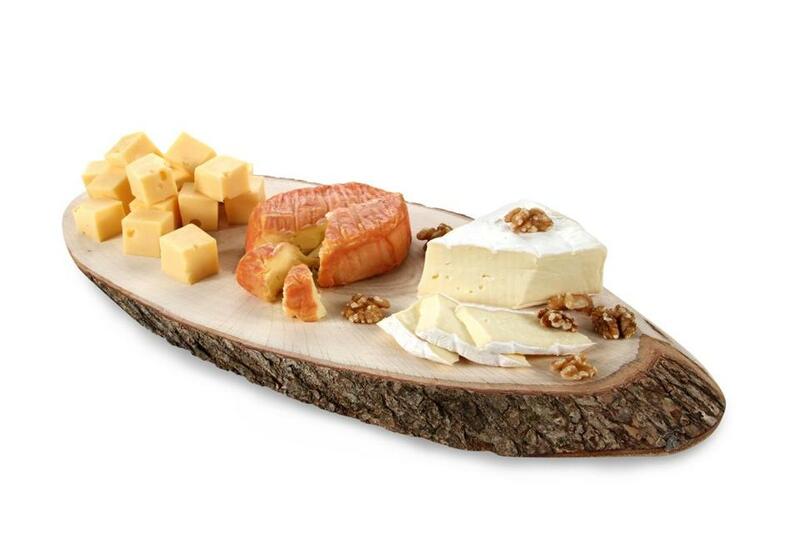 The bark boards from Boska provide a stunning stage for cheeses and charcuterie. The Dutch family-run company originated near Gouda and has been producing cheese accessories for more than a century. Each board is made from a slice of an ash tree and no two are entirely alike. The bark edge gives the serving pieces a rustic look. Finished to be food-safe, they’re crafted in three sizes — 10-11 inches, 15-17 inches, and 22-25 inches long ($14 to $50). The dimensions vary because each is unique. Available at Olive Connection, 1426 Beacon St., Brookline, 617-879-9980; Bloomy Rind, 21 Main St., Hingham, 781-740-1001; Wolf Meadow Farm store, 91 High St., Amesbury, 978-201-1606, or go to www.boska.com.